Welcome to Freeski Meribel Store. 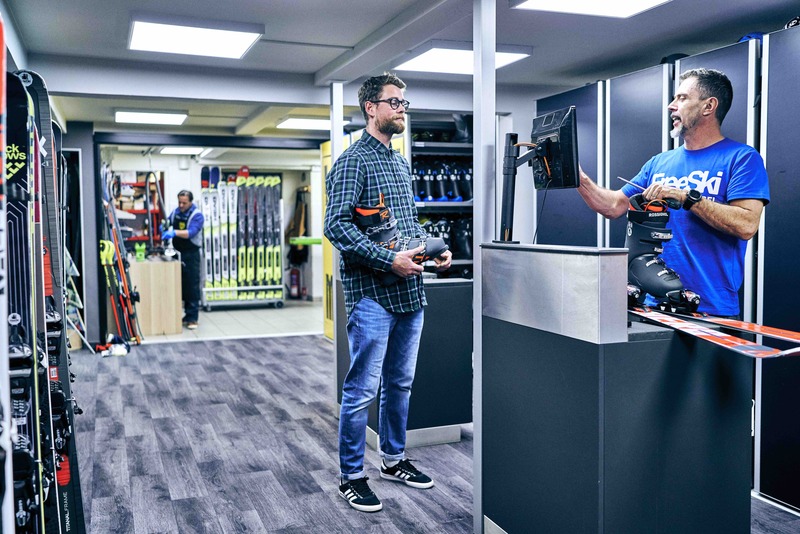 Freeski Meribel store has a 200 square meters of retail space divided in 2 levels and enjoys a prime location in Meribel centre. 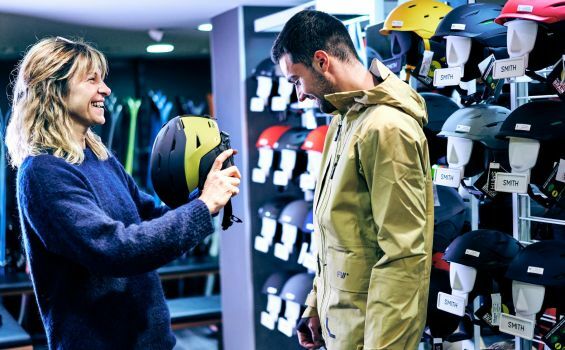 The retail shop is managed in partnership with The North Face, the technical clothing company which must offer you the highest level of comfort, performance and protection. Wherever you're staying in the resort, you can benefit from the quality and service of FreeSki Meribel. 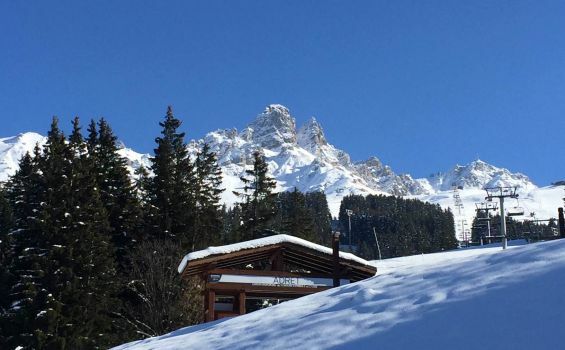 We offer a minibus pick-up service at the weekend that can collect you from your chalet, bring you down to the shop to rent your equipment and then take you and your kit back once it’s all sorted. We also offer a chalet delivery service so you can have your ski fitting in the luxury of your own chalet. Just select this option when you book your equipment online and it will be delivered to your chalet for your arrival. For more information go to 'Services' page. Situated right in the centre of the resort, FREESKI Meribel offers top of the range equipment at very reasonable prices. 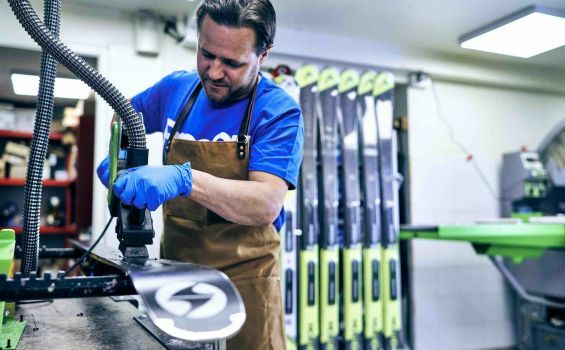 Catering for every level of skier, you are guaranteed to have the best quality equipment, serviced and fitted exactly to your personal measurements. The shop is very central - it's less than a minute walk to the escalator by the Tourist Office that takes you directly onto the ski slope. We have a friendly and conscientious team of staff with both French and English native speakers so there's no problem being understood. FREESKI offers you high quality equipment with high quality service. 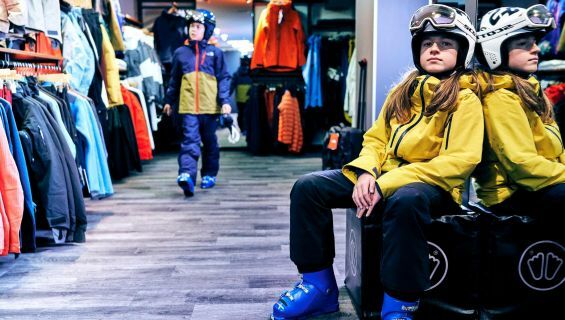 Freeski Meribel has become a store renowned for the quality of its products and its excellent service - which continue to improve with every season. We believe in offering a professional and quality service. This belief is reflected in the attitude of our friendly and knowledgeable staff and in our selection of top of the range equipment. Most of our equipment is brand new every year and, with a wide range of different styles and models available, we're proud to have something to suit every level. On the internet, you'll find all sorts of incredible deals .... But remember if it seems too good to be true, it probably is! There is no secret - not all skis are equal. The age, model and condition of the ski make the difference. If you're willing to compromise on the age of the equipment, you will pay less but at what cost? You've spent good money on your ski holiday so don't spoil your enjoyment on the slopes by making false economies on your ski hire. We like to be up-front and honest - we offer 2 categories of kit based on the age of the equipment - Premium & Eco. When you book the best equipment, that is what you'll get. But whatever you choose, you'll get advice and service from experts who care. PREMIUM Gear is guaranteed to be new this season ! 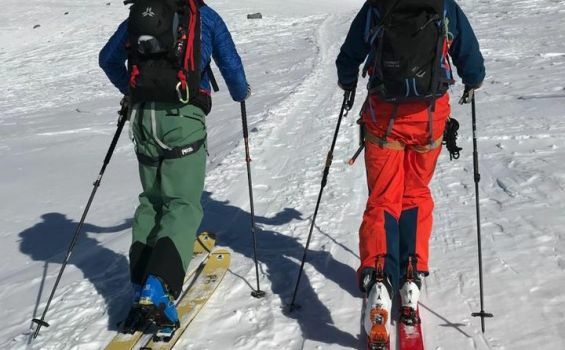 The age, the fit, the suitability and the condition of the equipment are all essential if you want to have the best chance of really enjoying and developing your skiing. So do yourself a favour and rent the best and newest equipment ... It makes a big difference ! Our ECO skis are the best price in Meribel. Eco skis are maximum 2 seasons old. It is a great compromise in terms of price/age...Of course you can't expect quite as much in terms of feedback, response and liveliness from these older skis as you would from a new model, but all our skis have all been properly serviced in-house since new, so the bases glide well and the edges are still pretty sharp. 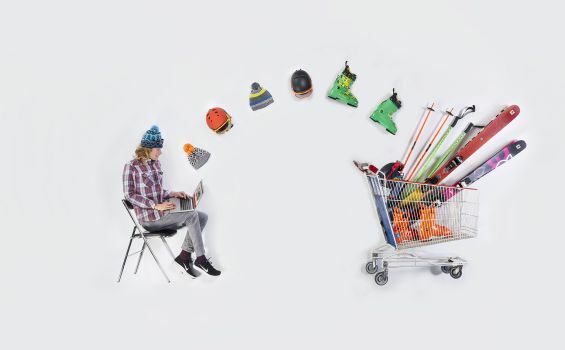 FREESKI Meribel offer a chalet delivery service so that your equipment is ready and waiting for you when you arrive. Once you're in resort, one of our ski technicians will visit to check everything is okay and to make any technical adjustments needed. This added extra service has a small supplementary charge of 10€ for the first client and an extra 5€ for each additional person. This allows you to have your equipment fitted in your chalet and saves a visit to the shop. If you'd prefer to come into the shop, our minibus collection service is avaiable at no extra charge. 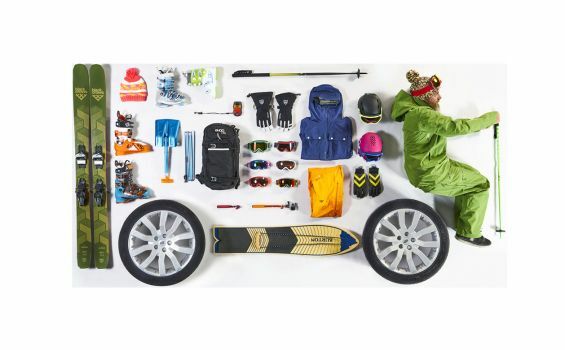 Our rental policy is quite simple: To get the right equipment - be it skis, boots, snowboards, poles, helmets - first time around. Keeping the process interesting, informative and enjoyable so that you can enjoy your holiday and spend your time on the mountain, not in the rental shop ! Our system is designed to guide you through the shop from one section to the next quickly and efficiently while ensuring all tasks are carried out correctly, with all necessary information recorded. BLACK CROWS OFFICIAL TECHNICAL CENTRE - Freeski Meribel is the only test centre in resort. Our wide selection of models covers most of their range and you won't find a better choice anywhere else in Meribel. To try BLACK CROWS skis, let us know which day and which model you'd like to try and we'll organise the rest. You can also book online and choose the exact model you want or contact us for advice. 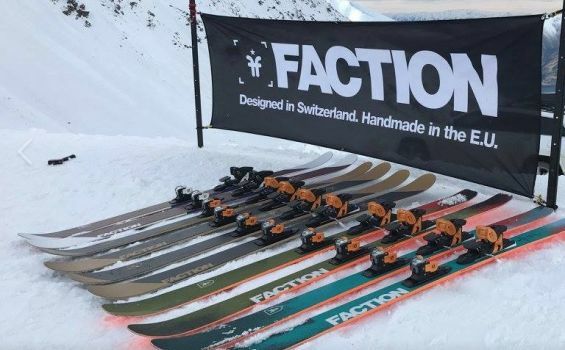 Freeski Meribel has the latest models from FACTION - Come and try these great skis for yourself. We strongly recommend that you test skis before making the important decision of what to buy for this season on the slopes.... If you decide to purchase, the cost of the test session is deducted from the price of your new skis. 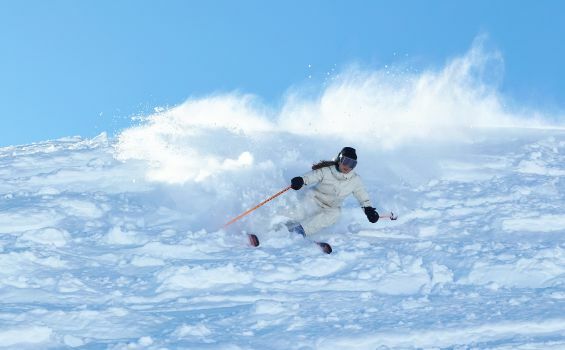 Get ready for a fantastic Off-Piste Skiing Experience ! 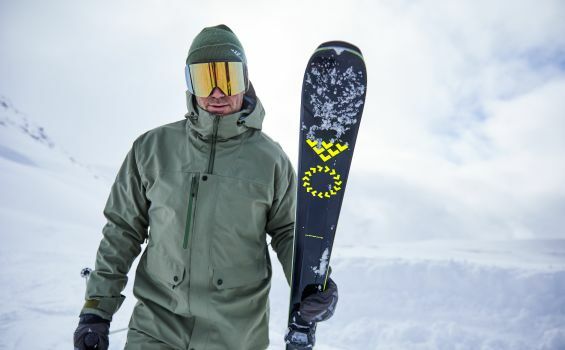 Powder skis get their name from the fact that they are great for use on heavy, deep snow. We offer the best powder skis from BLACK CROWS - SALOMON - SCOTT - K2 - FACTION... undisputably the best choice in Meribel ! We highly recommend that you ski with a guide for your safety and enjoyment and we can organize and reserve a safe and professional local ski guide for you. Keeping the bases and edges on your equipment in good shape is crucial to easier turns and better edge hold. It will also help your equipment last longer. Drop your kit into the shop after skiing and collect it, fully serviced and ready to go, on your way to the lifts the very next morning. 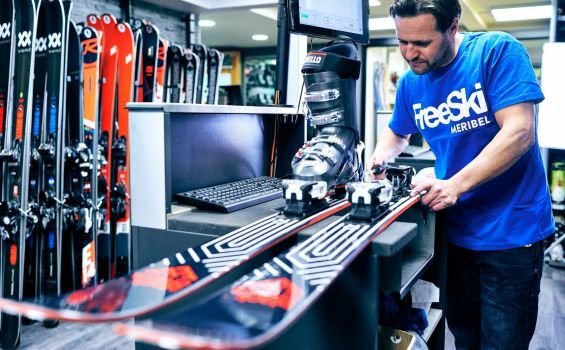 Every single item of FREESKI equipment is properly serviced before it is handed out - one of the things that makes FreeSki rental unique, whilst also ensuring the highest standards of performance and safety. 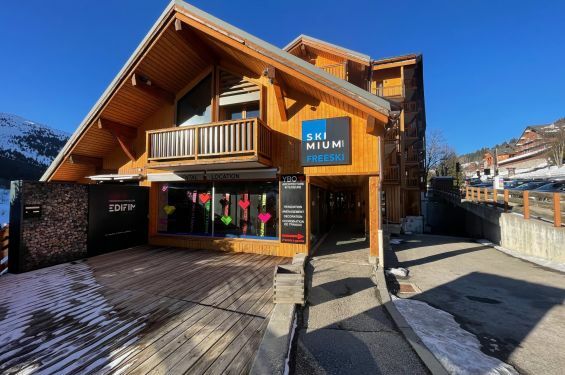 Easy access - Freeski is in a prime location in the heart of Meribel, practically ski-in / ski-out from the escalator next to the Tourist Office that takes you to the slopes and to the main lifts at the Chaudanne. As skiers ourselves, we choose only the best ski jackets from the best manufactures in the world. NORRONA ski jackets crafted from Gore-Tex waterproof fabric, provide you the ultimate in protection when skiing in the mountains. PEAK PERFORMANCE ski jackets combine style and performance in equal measure so that looking good and being protected is not a problem. 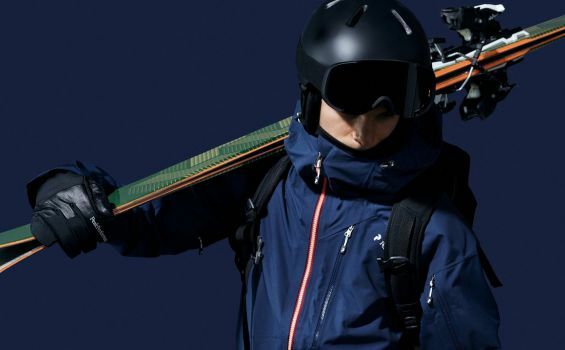 THE NORTH FACE ski jackets are just the ticket - well designed, well-made and above all well-insulated so will do exactly what you need and keep you warm on the slopes. Norrøna is a Norweigian family owned and run outdoor equipment company based at Lysaker, just outside Oslo. They make high-end clothing, backpacks and accessories for climbing, skiing, mountain biking and other outdoor activities. 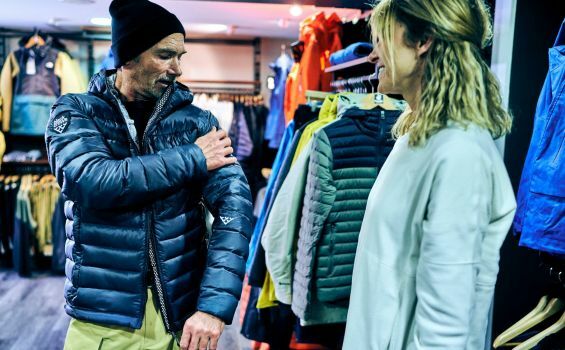 Since 1929 they have been dedicated to pushing the limits to develop high quality outdoor equipment for tough conditions, for example, by making Europe's first Gore-Tex jacket in 1977. High performance mixed with Swedish style. From slopes to streets, from bike to bar, from work to workout — this is Peak Performance. Wearing a helmet on the slopes is a wise choice regardless of your ability and experience. It allows you to have a great time on the slopes while staying safe. Good goggles are essential to give you clear vision in all conditions, so you can concentrate on your skiing. Ski gloves and mittens are important and will help stop you getting cold, damp and chapped hands, as well as offering protection should you fall. 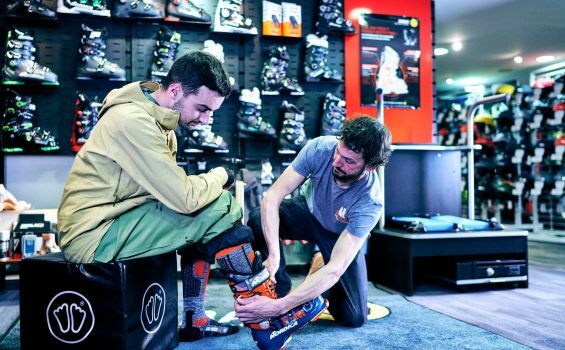 Ski boots are a critical component of your ski set-up, so getting the right size and fit is essential to having fun on the slopes. Correct ski bootfitting is extremely important for a comfortable and precise ride. Our professionals evaluate your feet and ski ability to find the perfect fit for you. Everybody benefits from this service, whatever their ski level. Our fitting service is included in the price when you rent or purchase your boots from us. Are you ready to get into backcountry skiing? We have everything you need to get started. With more and more requests from customers interested in getting away from the main, pisted ski areas to explore our magnificent mountains, we have invested in the best equipment from Dynafit, Plum, Salomon, Black Crows, Scott, Dalbello and Colltex for all your backcountry needs - whether you want to rent or buy. 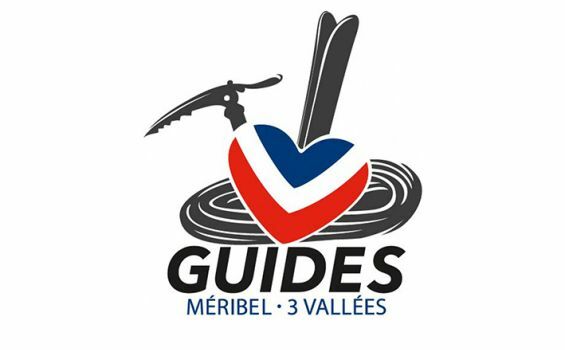 Freeski is partnered with the Meribel Mountain Guide Office. 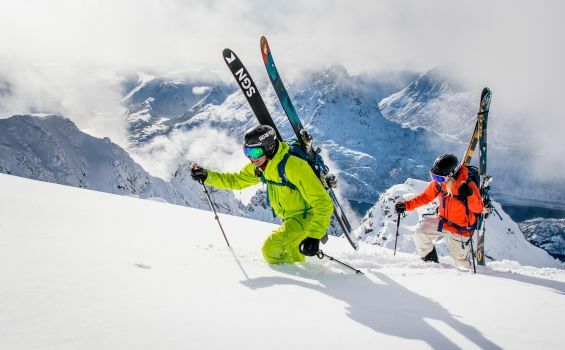 Their Mountain Guides are specialists in off-piste skiing and ski touring. They are the experts and have an unrivalled knowledge of the ski area. Their technical skills, teaching ability, risk management and professionalism ensure that you'll enjoy your day off the beaten track. Be the first on the slopes ! 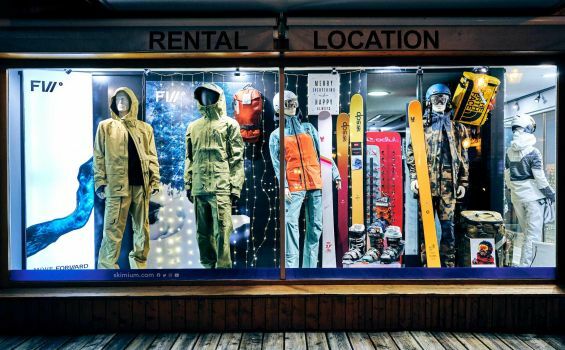 The store has a massive choice of rental skis, boards and boots in all sizes for all abilities. Our staff is made up of both English and French native speakers. No problem to be understood ! Every single piece of our rental equipment handed out is properly serviced beforehand. You’ll love the choice of boards! Let us find boots that you’ll be comfortable in without compromising too much performance.